"A hope can become a reality if we work hard to do our part, and then trust the Lord to do the rest." James Drake and Isabella Grayson have grand aspirations; James to pilot the first plane across the English Channel and Isabella to become a journalist for her father's London newspaper, "The Daily Mail". 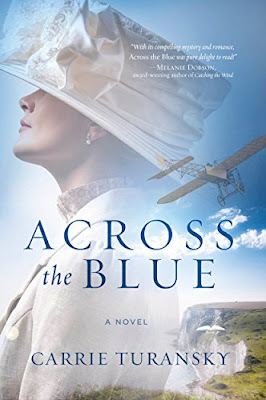 When their paths cross quite unexpectedly on Grayson property, Bella takes advantage of her father's burgeoning interest in developing aviation to gain information for a series of articles about the French and English piloting teams; both are eyeing the newspaper's handsome prize for the first flight across the channel. What a lovely young woman! James finds himself duly distracted whenever Miss Grayson visits his workshop or asks her intelligent questions, or even gives him one of those encouraging smiles. But what can he offer the daughter of a societal elite; James knows nothing about his true heritage and what he does know, involves scandal. Besides, there will be no steady income unless he can prove his prowess in the air. Enjoy this beautifully written story brimming with impeccable historical detail, lovely paced romance, and strategically placed reminders of the One who can, and will, work all things together for good. *I am appreciative to the author and her publisher for a copy of this book. I was under no obligation to review or provide a positive review. The opinions expressed are entirely my own. For more about Rebecca visit her 'Welcome Post'! Thanks for a great review! You brought out some of my favorite parts of the story! 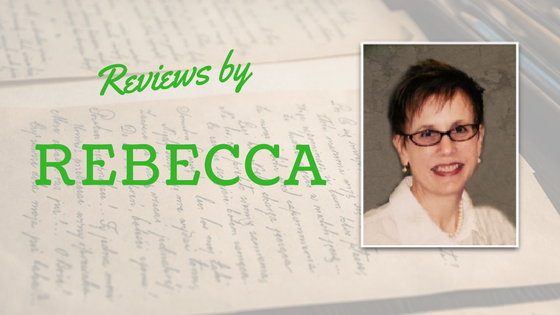 So nicely done, Rebecca! I'd like to go off to England, rent a place for a week and binge read all of Carrie Turansky's novels! Sound right? Thanks for sharing your thoughts about Across the Blue! I appreciate your help in connecting with reading and writing friends!